Does The Gold Standard in Venous Duplex Causing False Negative Exams? 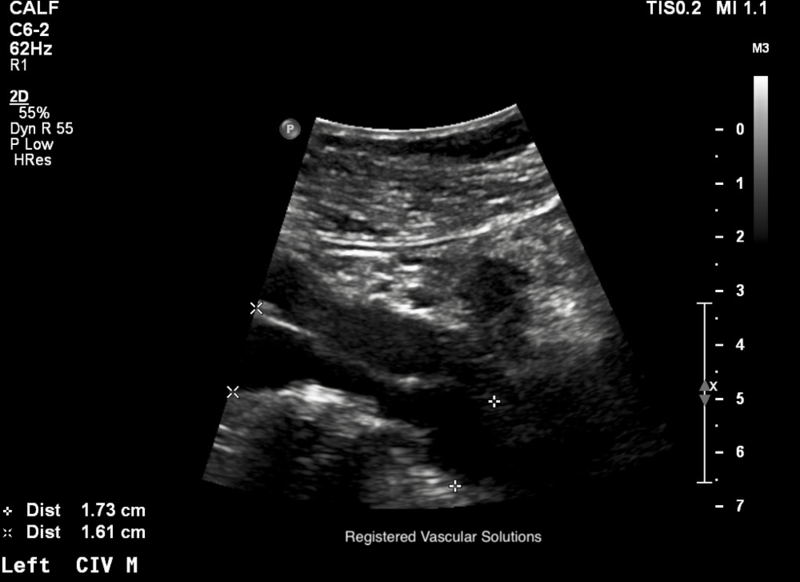 Venous duplex ultrasounds are performed in the transverse and sagittal planes. Due to compression ultrasound being the gold standard most Sonographer's perform transverse compression first and focuson distal augmentation when assessing with Doppler. Most Sonographer's do not let the Doppler run and evaluate for phasicity or spontaneity the key indicators of a proximal obstruction. With compression established it is natural for the Sonographer to have mentally checked negative and perform augmentation to simply to complete protocol. 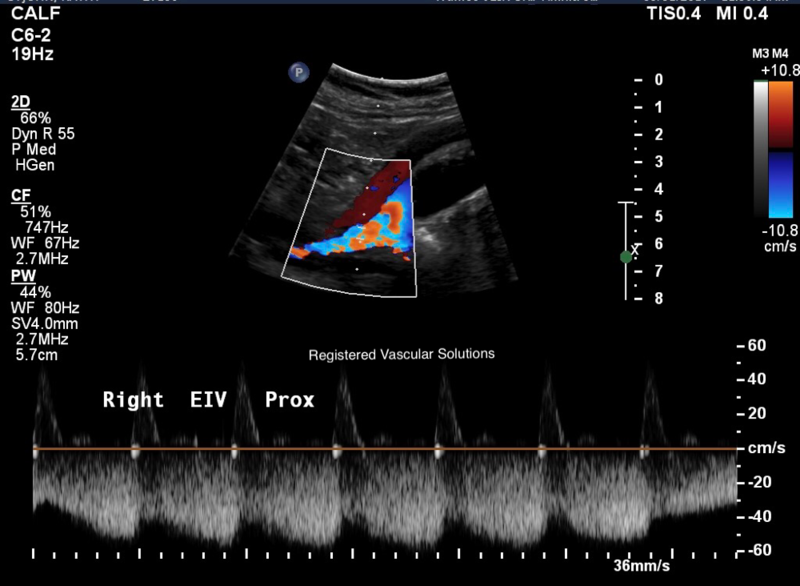 When performing venous duplex ultrasound to evaluate for deep vein thrombus or DVT compression of the veins in the transverse plane is the gold standard. It has been well established that thrombus should be identified in both planes. 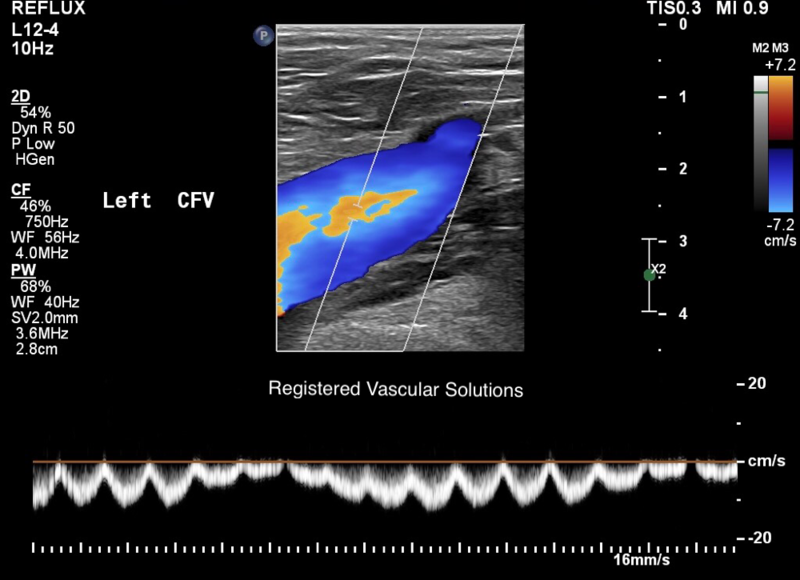 Compression ultrasound combines real-time imaging of the deep veins with venous compression to diagnose deep vein thrombus. 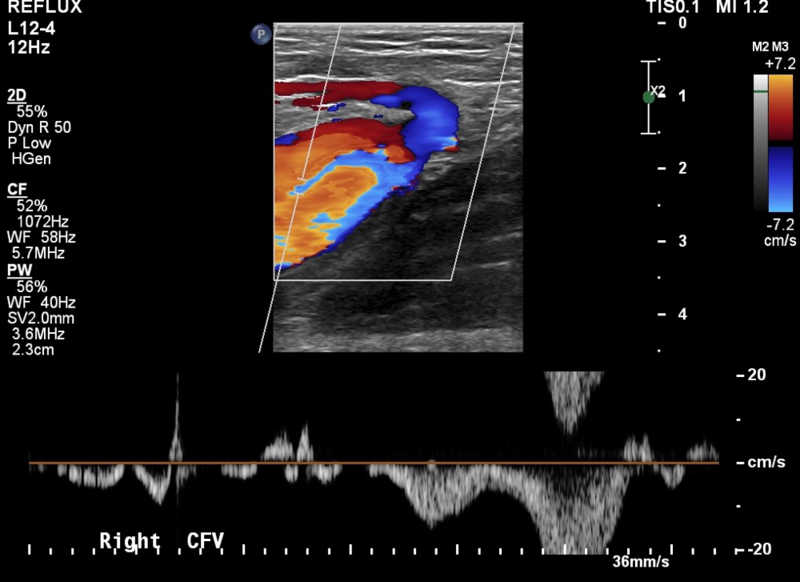 Doppler ultrasound uses a Doppler waveform and provides information above and below the level of the site sampled. Augmentation (squeezing the body part distal to the area being investigated) is typically performed to evaluate a distal obstruction, however studies suggest that it provides no useful data. The Intersocietal Accreditation Commission IAC requires Doppler of the contralateral common femoral vein to evaluate for inflow discrepancies, however most hospital ultrasound departments don't hold this accreditation. The left common femoral picture above is of a patient who had a pulmonary embolism and had a negative bilateral venous duplex at a hospital. The pictures that follow demonstrate bilateral high grade iliac vein compression that was missed. To solve this problem we suggest evaluating with Doppler without augmentation allowing enough time to pass to evaluate phasicity and spontaneity. It adds one more picture to the exam and very little time in comparison of the value gained. This can be done at the beginning or after compression. We suggest looking at the Doppler first, there is a lot of information that can be seen that many miss. 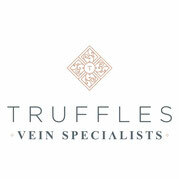 Brian Sapp, RVT, RPhS is the owner of Registered Vascular Solutions, Inc. and a partner at Truffles Vein Specialists. He provides hands-on training, vascular consulting and education.